Strong and reliable paddle leash for professional use. 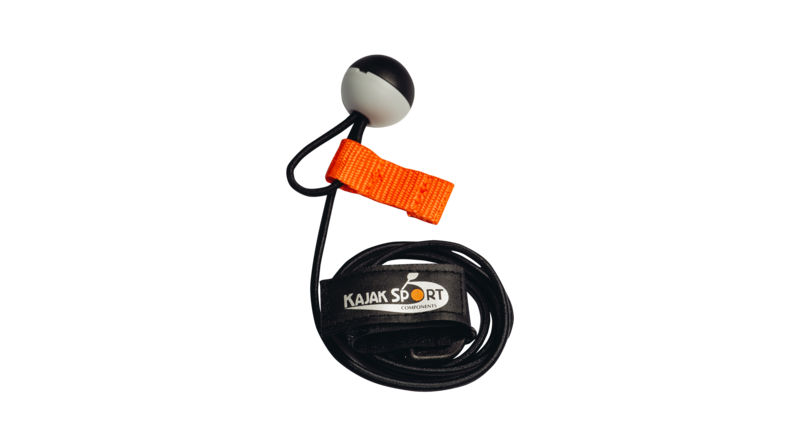 Light and simple with quick release system which can be used in rough conditions, but won’t loose by accidentally. 1 meter leash is made of ø 4 mm bungee. Secure deck ball fastening system for deck lines and handy velcro fix for paddle.